A stone is to be laid in Westminster Abbey in memory of Nelson Mandela, the London royal church said ahead of a memorial service Monday for the former South African president. Around 2 000 people are expected in the abbey for the service celebrating Mandela's life and work, including members of the global statesman's family. Among those due to attend were British Prime Minister David Cameron and South African Deputy President Kgalema Motlanthe. Prince Harry, fourth in line to the throne, will represent Britain's Queen Elizabeth II, the head of the Commonwealth. South African peace icon Desmond Tutu, the former archbishop of Cape Town, is to give the address. Mandela, who died in December aged 95, was welcomed to Westminster Abbey in 1996 during a state visit. Ahead of Monday's service, the Very Reverend John Hall, the dean of Westminster, announced that a memorial stone would be placed in the abbey later this year. 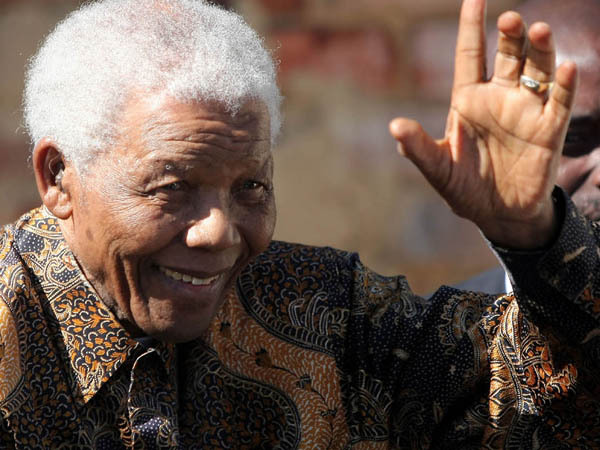 "Nelson Mandela was one of the most remarkable world leaders of the last century. His remarkable constancy under suffering stands as an example to everyone," he said. "In addition, his capacity for forgiveness and his generosity of spirit show what humanity at its best can achieve. "His memorial in Westminster Abbey, justified in itself, standing amongst memorials to many of the greatest men and women of the world -- not all of them British -- will also prove to be a focus of contemplation and prayer for the gift of forgiveness and reconciliation in many communities and places in our troubled world." The abbey falls directly under the jurisdiction of Queen Elizabeth -- the head of the Church of England -- and it is where sovereigns have been crowned since at least 1066. Eighteen British monarchs are also buried inside. It is one of Britain's most significant honours to be buried or commemorated at the abbey. Among those commemorated are Winston Churchill, William Shakespeare, John Wesley, Martin Luther King, Francis Drake, Edward Elgar, Oscar Wilde and C. S. Lewis. London's statue of Mandela, unveiled in 2007 in his presence, stands across from the abbey in Parliament Square.